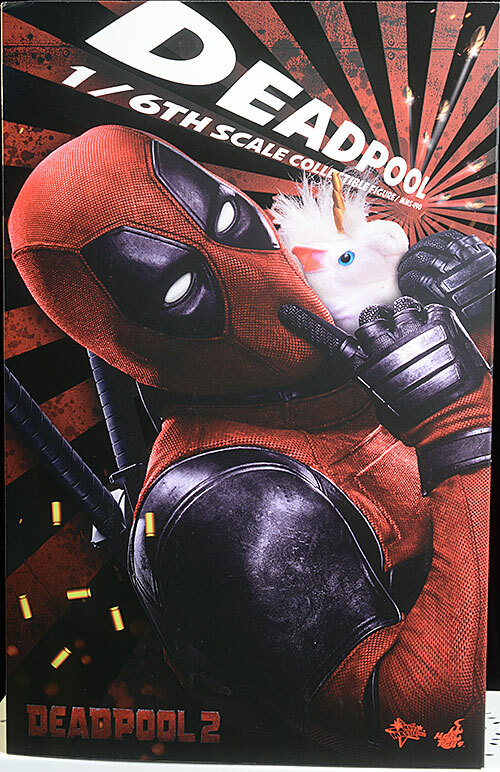 Deadpool 2 continued the tradition of hilarity, wise cracks, and absurdity set by the first film, and managed to introduce a few new characters along the way. While it didn't have the surprise effect of the first installment, it was just as good or better in a number of other ways. 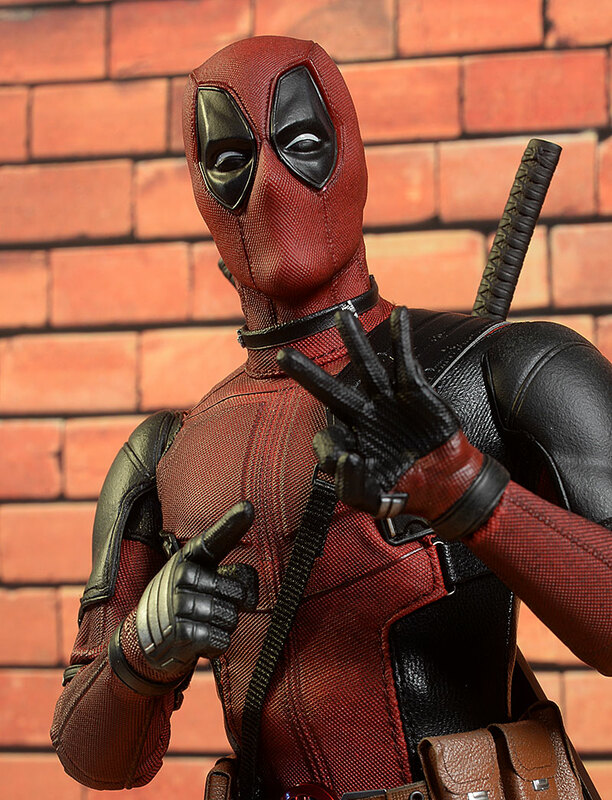 While the suit didn't change a ton, Hot Toys took advantage of a second movie by giving us a second figure of the merc with a mouth. This guy shipped awhile back, and has been sitting on the pile - I'm getting my backlog caught up. He's still available at a number of retailers, and you can expect to pay around $250. I like the cover photo from the first release a bit better, and the basic interior is standard stuff. It's all collector friendly, and they manage to pack quite a bit in a fairly small space, keeping figure and accessories safe and sound. The head itself is nothing surprising, but it's the textured look which works so well. While the head is plastic and the costume is cloth, they did a terrific job making the hood look identical to the softer material. The first release got four stars, so you'd expect to see the same here, unless they really mess up somehow. The eyes are swappable, which gives you a lot of different looks, and they fit cleanly and stay in place thanks to some strong magnets. The sculpted hands are properly scaled, and the various pieces of armor look great. Another terrific paint job, although the white eyes aren't quite as clean and consistent this time around. On a couple, I can see a bit of the black bleeding through. 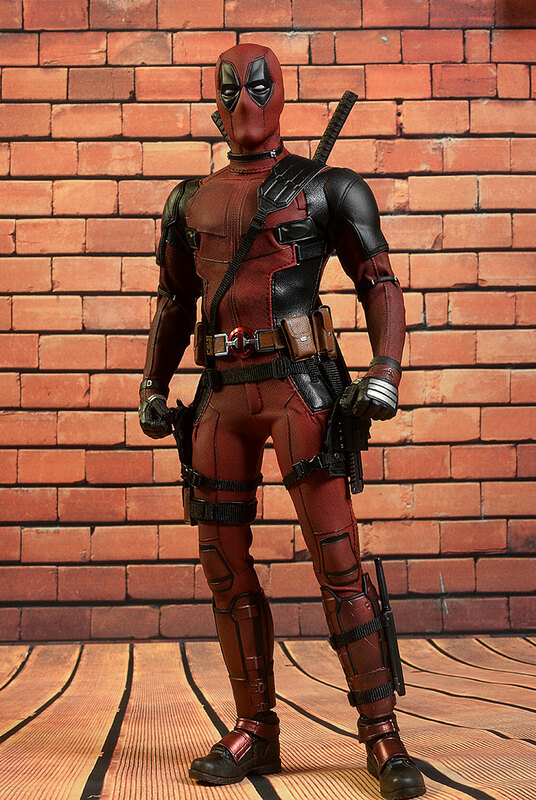 The costume has a matte finish this time, giving it a more subdued - and somewhat more realistic - look. The armor and appendages, especially the boots, are particularly sharp and neat. The tight suit tends to restrict, particularly with the shoulders and hips. The neck gave me some trouble this time. The head broke free of the red ring inside the neck, and I had to force the ring off and re-glue it. I hate repairing figures at this price point, and even once it was repaired, the neck didn't have as much tilt and lean as it should. As I said, the shoulders are pretty tight inside the suit. The elbows work great though, and while the wrists can't bend a lot, the hands swapped easily and stayed in place as I was working with him. The torso tilts, turns, and leans quite well, adding some additional personality to most poses. The hips are restricted by the costume, but the knees work fairly well, and the ankles have a terrific range of movement, including side-to-side. There's a huge number of extras here, and most of them are quite useful for creating different looks. There's always extra hands, but rarely are there this many. 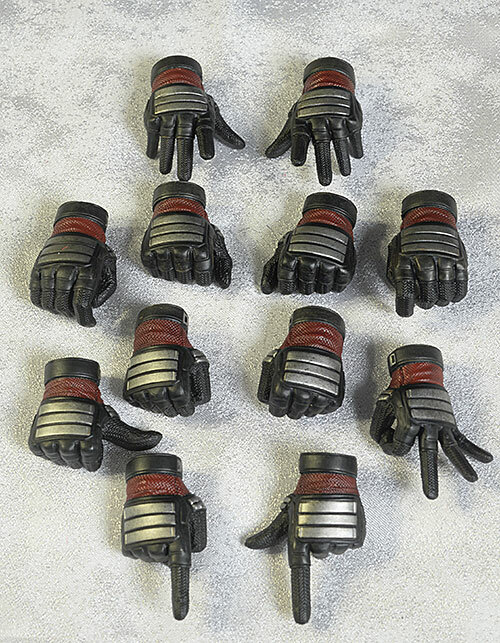 There are six sets - twelve hands - including the set of fists he comes wearing. 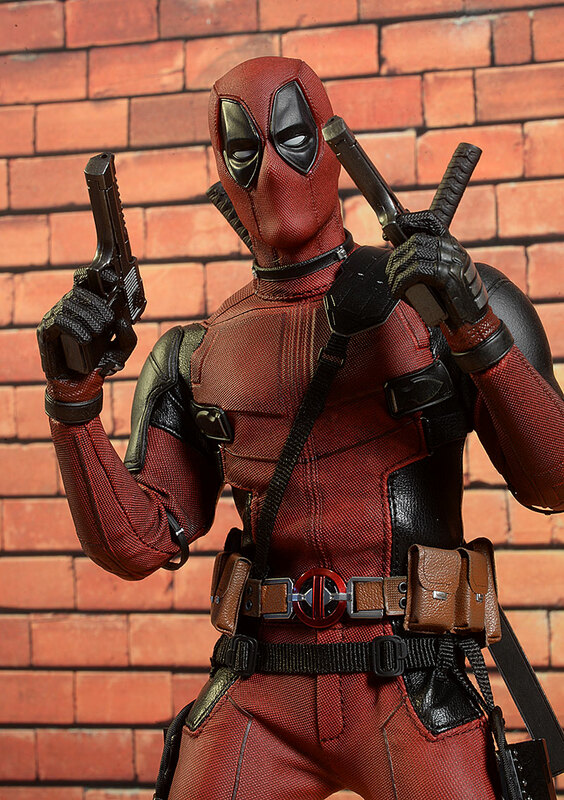 There's a set of gun grips, a set of tight grips, a set of splayed hands, a set of pointing hands (one has the thumb up too), and a set with a 'ok' left and a thumb's up right. They swap cleanly, but there's a couple extra wrist pegs just in case. There's also a ton of eye plates. These are held in place on the face with two strong magnets. They swap pretty easily, and you get a nice variety, from wide eyed to slits, with some squints created by a higher lower lid and others with a lowered top lid. You'll get the most interesting looks by mixing them up, creating plenty of different options. 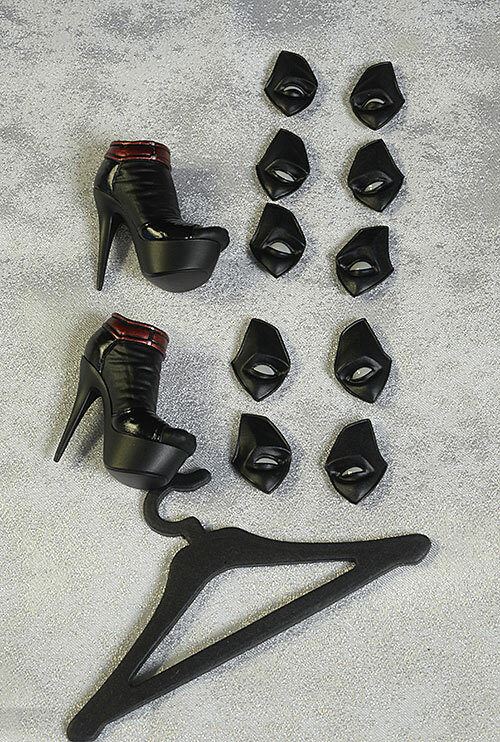 I mentioned the extra high heel shoes earlier, taken from the music video. These swap pretty easily with the regular boot feet, but I can't imagine a time where I'll use them. However, I can see adding them into the display in a different way - more on that in a minute. 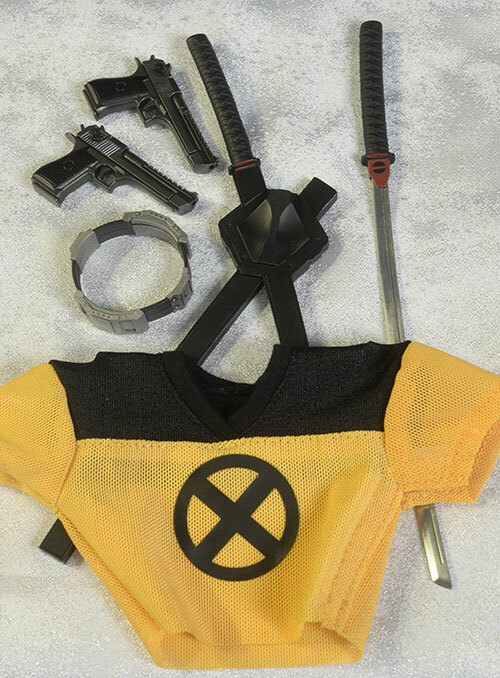 Speaking of costume pieces, there's an extra team style shirt, with the X-Men logo on the front and 'trainee' on the back. It fits over the costume pretty easily, thanks to the smart use of a velcro closure in the arm pit on one side. He has all his usual weapons. There's his swords, with real metal blades, as well as a long dagger, also with a real metal blade. There are two tiny metal shurikens - there's lots of metal here! - and of course, he has his two handguns. The sculpts and paint work on these guns is really impressive, and they've added a new feature I haven't noticed before. There's the usual removable magazine with a sculpted cartridge at the top. There's a moving slide too. Nothing new about either of those features, but when you have the magazine in place, and open the chamber...it looks like there's a round loaded! The smaller dagger slips in a sheath on his left boot. The katana's fit neatly inside a set of scabbard's which in turn attach to his back thanks to some very, very strong magnets. 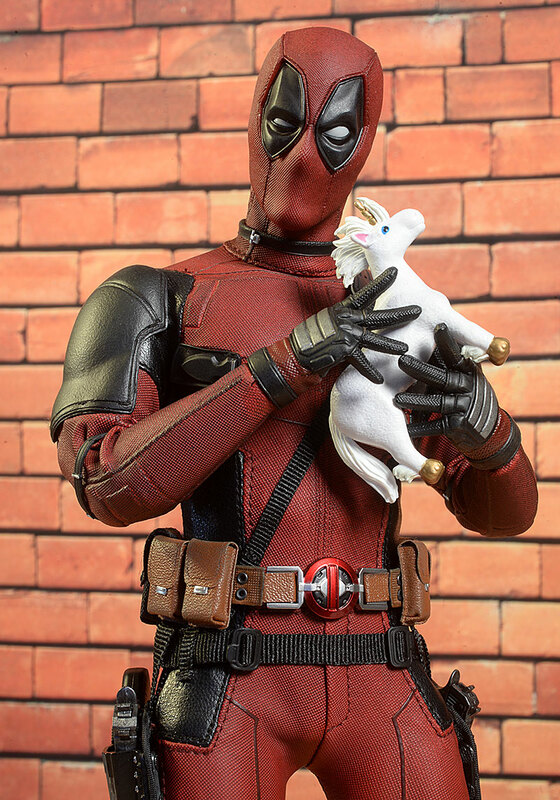 He has a rather unique extra in his stuffed unicorn. It's sculpted plastic of course, but it looks great, and it can fit nicely in a couple of the hands provided. Another unique extra, based solely on this movie, is his 'collar'. You can pop off the head and put it in place. It played a pretty important part in the movie, but it's another one of those extras I don't expect him to actually wear on the shelf. 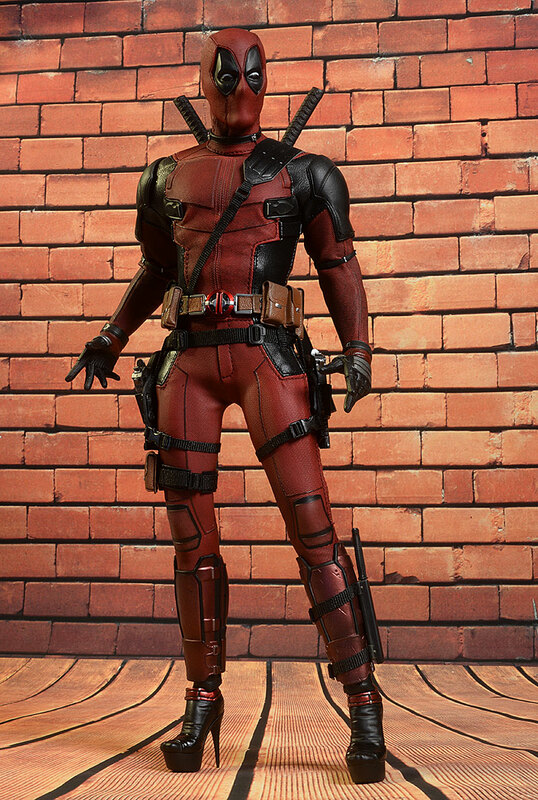 Many of the more recent Hot Toys releases have come with the cardboard backdrops. I'm not a huge fan of these, generally, because they tend to be too narrow to do much good. But this one is a much more useful extra. It's not just a backdrop, but a wall with 'shelves'. 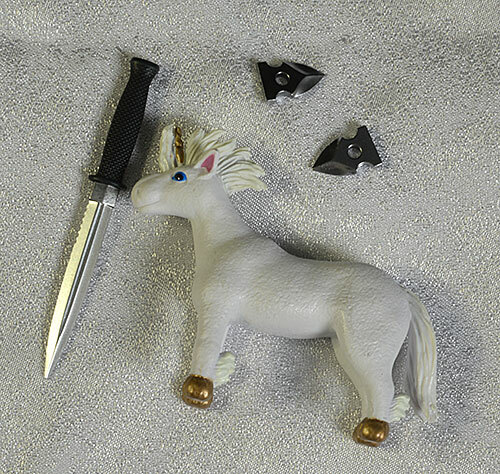 These are very sturdy, and you can use it to display several of the extras, like the unicorn, collar, and high heel shoes. They've even given you a coat hanger to use with the shirt! 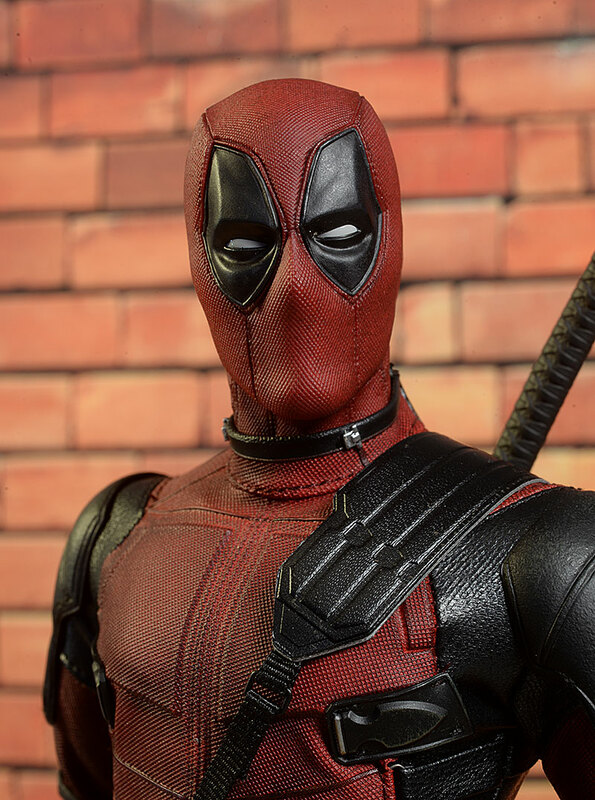 They provide a button magnet too, which has the Deadpool logo on both sides, and can be used to hold the katana scabbard on the cardboard wall. 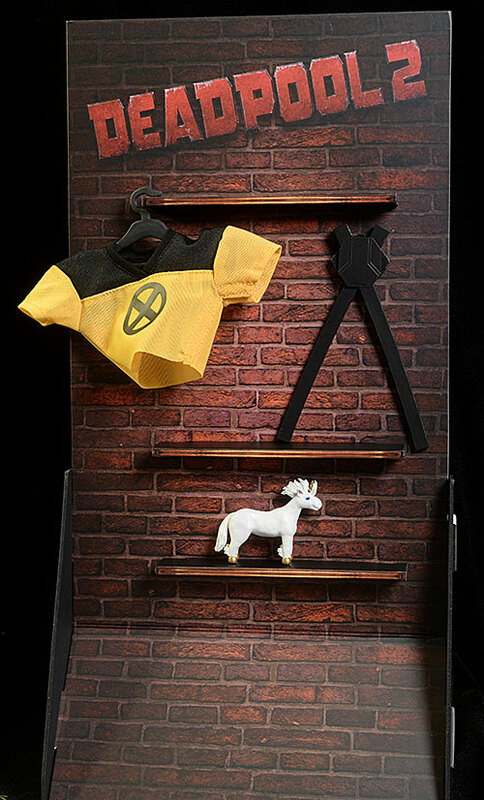 Finally, he as the usual logo display base with a crotch support rod. You won't require it for most poses, but it's nice to have for consistency. 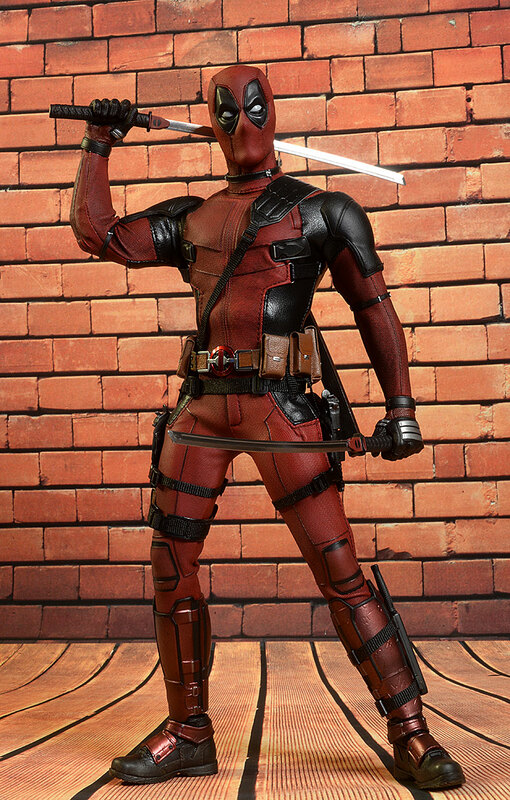 There isn't a lot about this costume that's different from the first film, making it largely a re-use. The most notable difference is simply the finish - this one is matte, where the original was much more glossy. I really love the soft, pleather packs on the belt and thigh. The guns fit cleanly in the holsters, and the magnetic attachment on the scabbard works great. 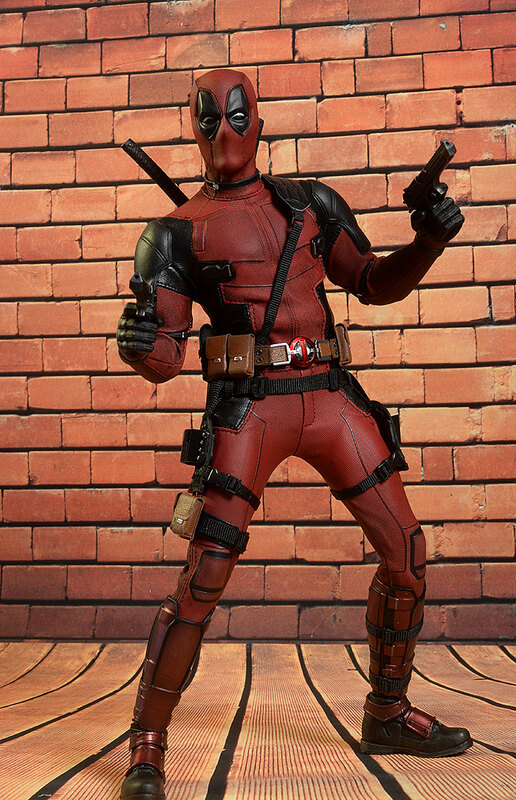 The original suit had issues with the gloves rubbing the material around the wrist. They appear to be a little wider here, making that less of an issue. With this many extras, you'll have plenty of options to display this figure. And you'll come up with new ways over and over again, altering the pose and swapping the accessories with regularity. I don't know about you, but that's a lot of fun for me. This guy has a ton of extras, and you can't ignore the excellent use of metal on many of the accessories, including the swords and dagger. 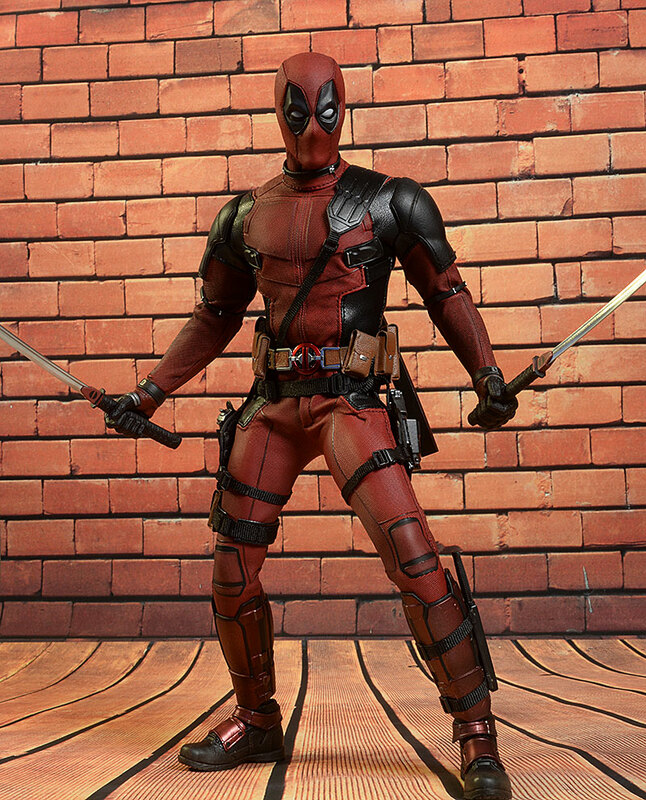 But he's also technically a re-use of the original figure, with a costume that pretty much matches. With this much re-use, it's hard not to think $250 is a little over priced. I can live with it - obviously I did - but if you can get him for closer to $230 you'll be more in the average range in this category. Not much. Everything is sturdy and well made, and damage is unlikely with normal use. If you skipped the first release, you have a chance to get a figure that's every bit as good. I had a couple minor issues - like the neck piece needing repair - but if he's your only version, you'll likely be closer to four stars Overall. For those of us that already own the original release, this is much more of a 're-issue', with the accessories providing the only real upgrade. 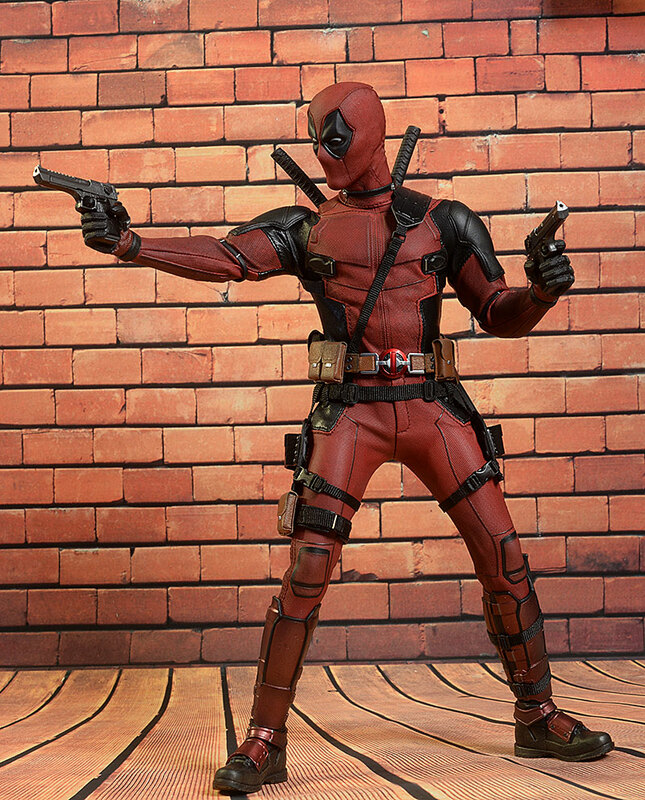 I like the matte finish on the costume better, but it's hard to justify the price tag when you already have the original. And Hot Toys just recently announced the 'dusty' version, with the time traveling device and a couple coins...and some duct tape pieces. At another $250, I definitely skipped that one. - has him for $240. - has him for $250. 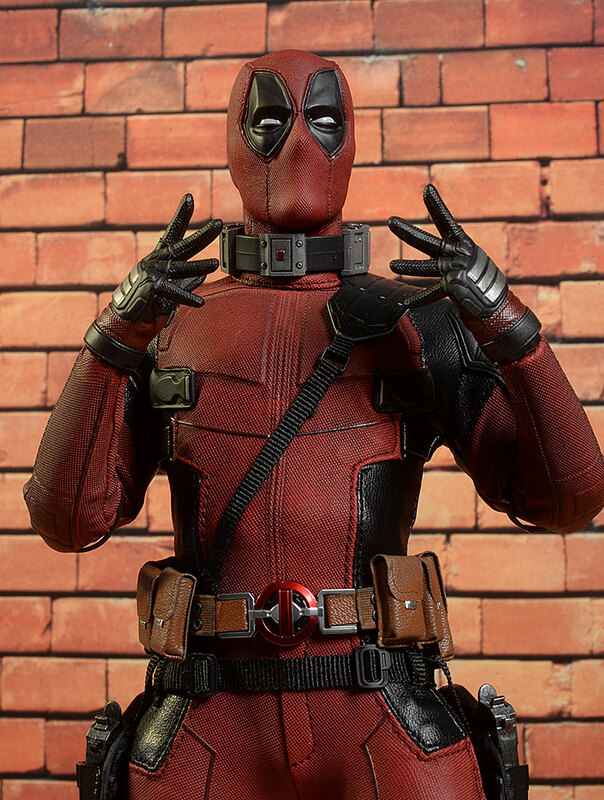 If you're looking at sixth scale Deadpool's, check out the first movie Deadpool or the Sideshow comic version. 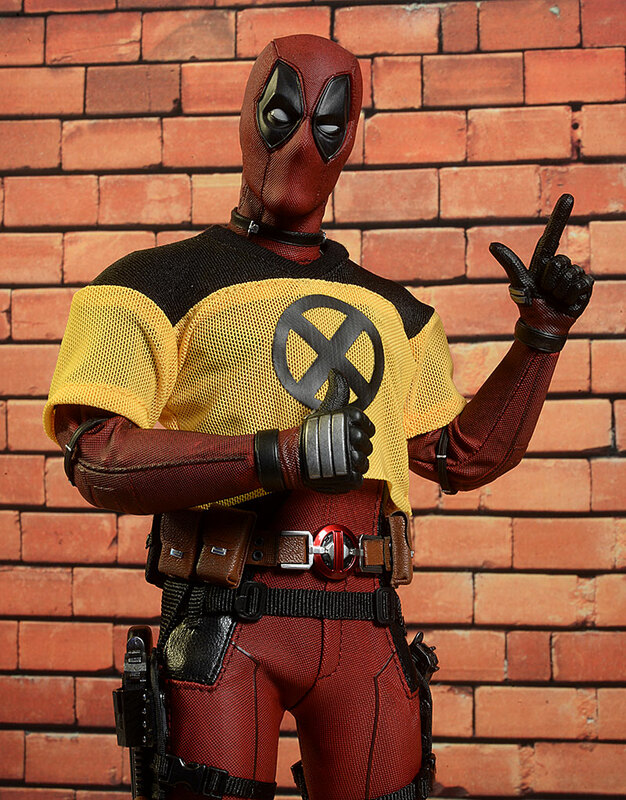 If you'd like something a little smaller, say 1/12, check out the One:12 Collective X-Force version or the regular movie version, or even the Marvel Legends recent release.